Promote music appreciation and auditory development by introducing your little one to baby-friendly versions of classical masterpieces by Mozart, Vivaldi, Chopin and Rossini with the Baby Einstein take along Tunes. 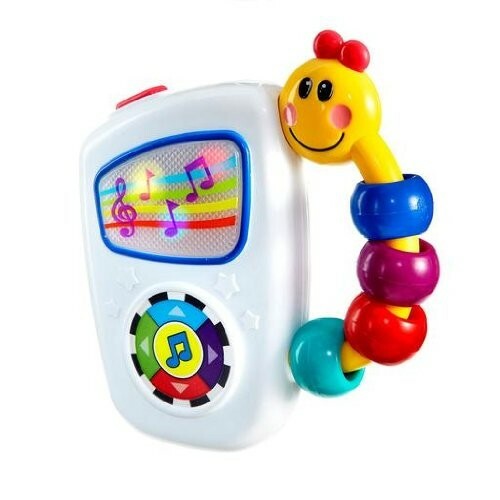 A large, easy to press button allows your baby to toggle through 7 high quality and enjoyable classical melodies at home, or for on-the-go fun. This baby's version of an MP3 player has colorful lights that dance across the screen to enhance each entertaining melody and promote visual perception.